Idéale pour les amateurs de gastronomie, de vin et de faune, cette excursion de 11 heures met en valeur les animaux indigènes et les vignobles pittoresques de la Nouvelle-Galles du Sud. Admirez la faune australienne indigène, y compris les kangourous, les émeus, les wombats et les diables de Tasmanie, au Walkabout Wildlife Park. 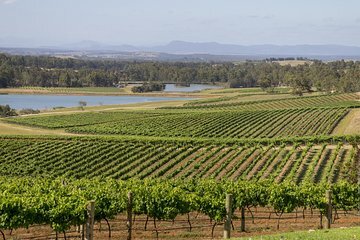 Dans la Hunter Valley, vous pourrez déguster un bon vin au milieu des magnifiques vignobles de Hunter Valley. Faites plaisir à votre palais avec des échantillons de fromage et de chocolat, et recevez une attention personnalisée de votre guide lors de cette visite en petit groupe, limitée à 12 personnes. Entre 7h30 et 8h00, votre visite commence au Holiday Inn Kings Cross, au Sydney Central YHA ou à l’Hotel Menzies à Sydney. À l’un ou l’autre de ces points de départ, vous monterez à bord d’un véhicule climatisé destiné aux merveilles du parc animalier Walkabout. Après une heure de route, vous débarquerez pour vous revitaliser avec un thé ou un café le matin. Observez les kangourous, les émeus, les oposs, les wallabies, les wombats et les diables de Tasmanie en liberté, puis visitez le parc avec un garde forestier pour observer les koalas et les pythons. Continuez vers la Hunter Valley: une région viticole regorgeant de vastes vignobles et de vignobles. Arrêtez-vous d'abord dans un domaine viticole, réputé pour son cépage prisé, le Semilion, et goûtez au vin, au fromage et au chocolat tout en admirant la beauté des vignobles. Vous aurez ensuite du temps libre pour acheter le déjeuner avant de continuer à satisfaire votre palais dans une autre cave. Enfin, retournez à votre point de départ initial de Sydney. Walkabout Wildlife Park was more than I expected! The ranger was very knowledgeable and all animals were well taken care of. I was able to hold a python and took pictures with a handsome koala and many kangaroos. This tour included 3 wineries for tasting and they were all great. We had an excellent guide. She was very knowledgeable on the animals as well as the wines. She even stopped along the road to show us wild kangaroos in the distance. Wine tasting was paired with cheese and presented beautifully, and lunch was delicious, outside with a view of the vineyards. Recommend a visit to the wildlife park. Wineries were good but not remarkable. Lunch spot was a highlight. My chicken dish was amazing. The guide fell far short and I have a lot of experiences on tours. She would start speaking without all 9 of us nearby. She made no effort to engage the group. The agenda was perfect for us with short time in our hands , to experience Australia. The wine tasting was great and the vineyard was a good experience.Love the Wildlife tour and the choices of vineyard for wine tasting were excellent. Lunch was fantastic. What could be improve is to set the expectations with regards to the timings. We were picked 30 minutes late, rushed throughout the venues. Be conscious that we are tourist therefor will need time to explore the and shop for souvenirs etc. Anticipate the pace we were going at. I had my 80 year old mother in law who would need time to walk comfortably. Set the timings for every venue so that we can self manage instead of rushing us at the last minute. Not sure what's the name of our guide as I don't remember being introduce. Twas a case of she could not find the other 2 people who were suppose to be with the tour. Called in advance as instructed to confirm pick up only to find out that we had to walk to the other pick up place. Our trip could have been better with a little bit of customer centricity and empathy. Can't compare to the wine tour I had during my Paris trip. This tour has so much going for it first off, we got to visit a number of vineyards, sampled so many wines and chesse, crackers. Each stop was great. Enjoyed the Wildlife Tour so much, got up close to the koala bear, even better than visiting the regular zoo! Recommend this tour highly! This is the best tour ever! I highly recommend this wine tour. We went to wildlife park first, then we saw lots of animals.kangaroo, Koala etc It was really great time. Everyone like that. After the park, We went to 4 winery shops and taste more than 20 different wines. Red, White, Rose and sparkling wines. I can say this is the best tour ever! I really like our tour guide. She is so nice and knowledgable person. Had a great time on this tour. Tour guide was very kind and accommodating. The wilderness tour was wonderful. Not a zoo but a sanctuary. The first winery was phenomenal and the restaurant for lunch was amazing food and views. It was our first time in the Hunter Valley and Wildlife Park. We travelled in the small group of 8 people. A driver was extremely polite, talkative and funny young man who has a good knowledge about visiting place what improve all experience. The Wildlife Park is ten times better than ZOO if you want to get know Australian wild animals. It is some kind of 'safari' trip where you can touch and play with all animals around including koala, kangaroo and snakes. The Hunter Valley part was very intensive but not to fast. 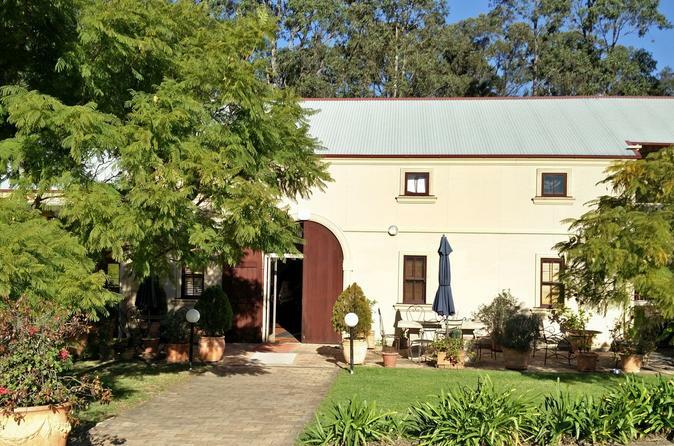 We could try a lot of local wines, cheeses, chocolates and spirits watching beautifully valley landscape preparing for winter. In our opinion this trip is perfect choice for everyone who wants to fall in love with the Hunter region. This could have been excellent. The tour itself was pretty good and luckily everyone else on the tour was fun, but the downside was the transportation. 6 of us were in the back of a family van. The front passenger seat was available but the driver wouldn't let anyone sit there. The driver would also interrupt and give her point of view when a guide from the wildlife park or winery was talking.